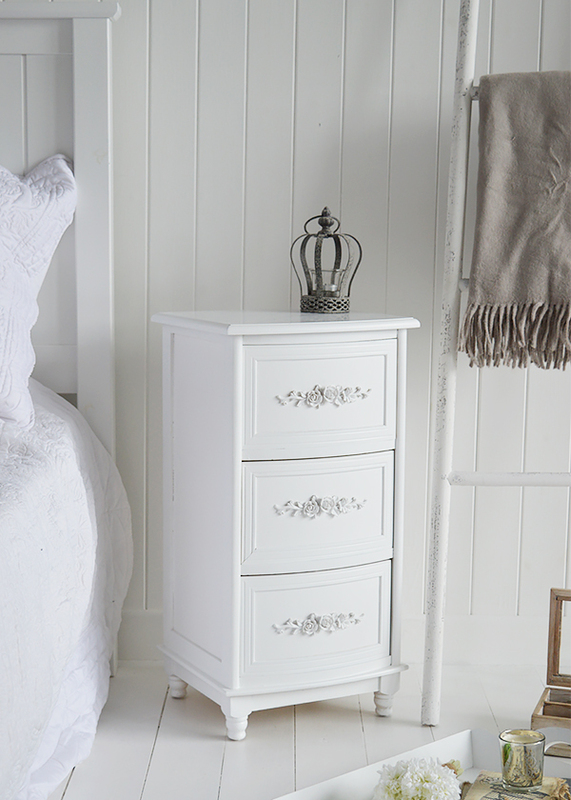 The photographs above show large images of the Rose White Bedside Cabinet.. 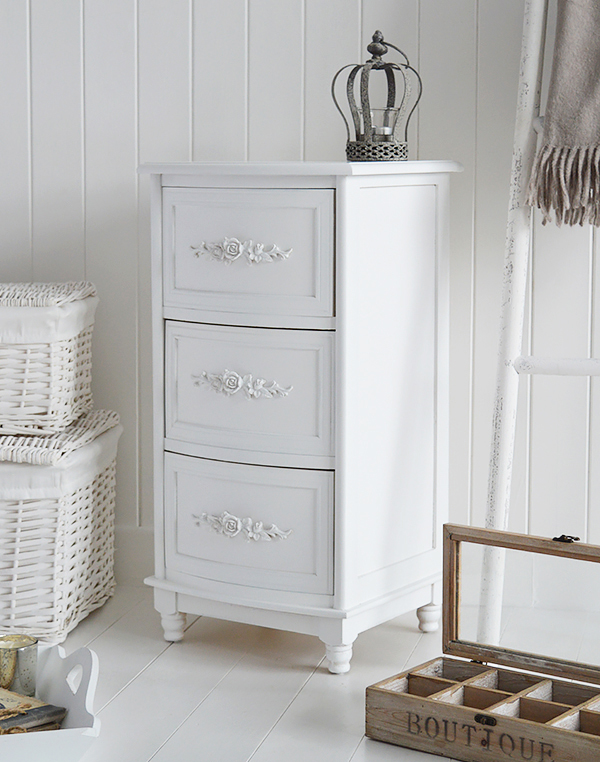 Finished in a matt white paint featuring delicatively carved Rose white handles and an elegantly bowed front. 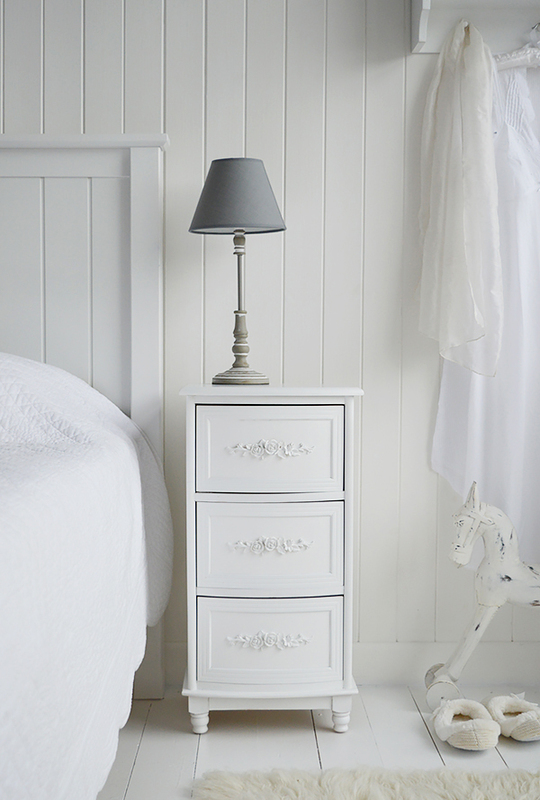 They are a really beautifully designed bedside table and will brighten any rooms, a very popular choice for pretty country cottage interiors and olde girls bedrooms. 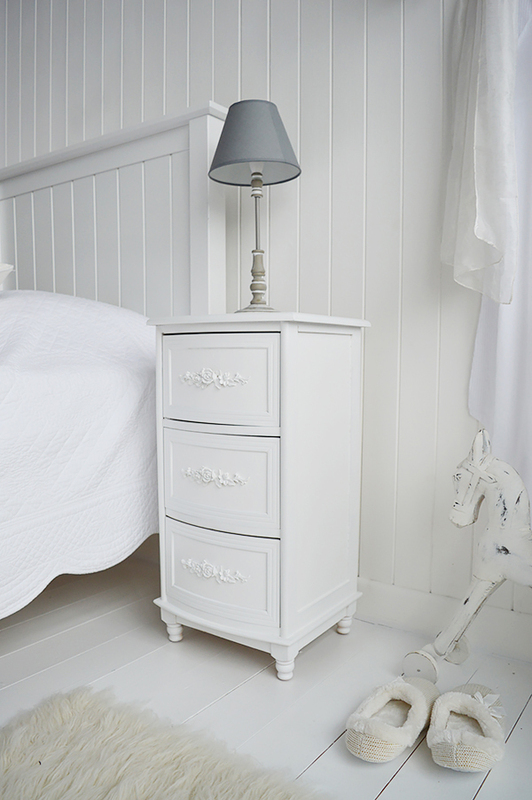 The style and design allows this particular bedside to grow with them. 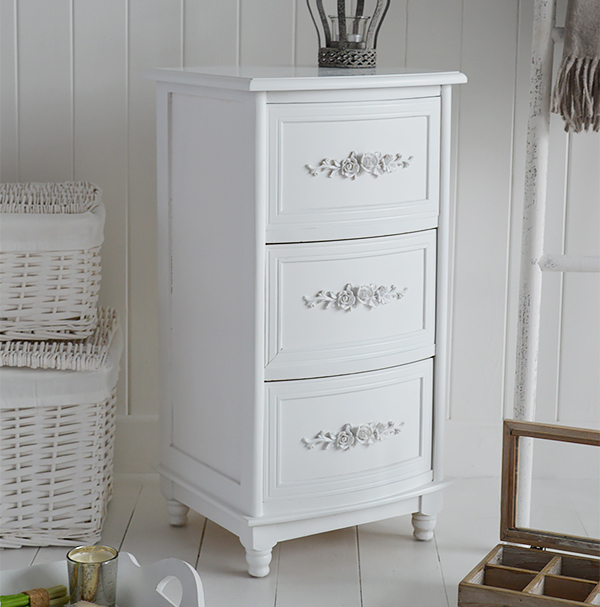 As an affordable statement piece of furniture the white lamp tables will blend well with most colour schemes. 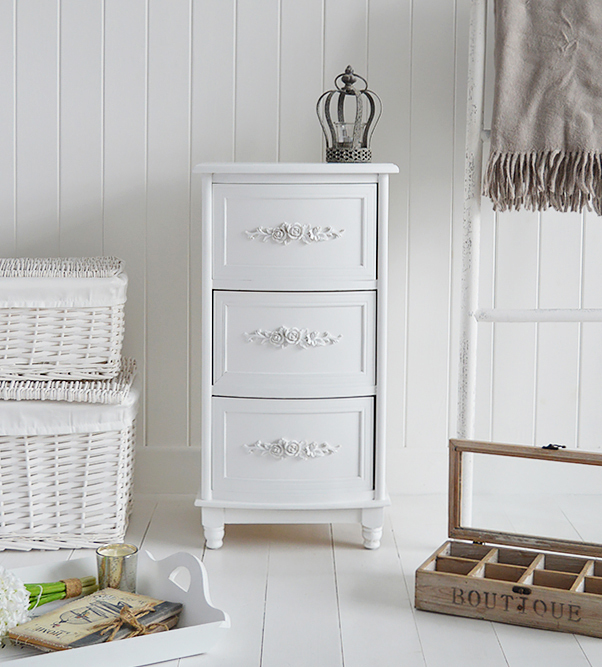 The three drawers easily glide in and out and will give ample storage for all your bedside requirements asd wee as giving drawers for items of clothing such as pyjamas and underwear. With no assembly required the tables are delivered free and ready to put into place with no worry of having to build. "A perfect mix of functionality and style"